Transfection is an enabler technology used for many cell based research activities with applications spanning production of recombinant proteins and recombinant cell lines, gene therapy, delivery of therapeutics and also drug discovery. This research report provides a brief description on transfection technologies, its evolution, comparative analysis, market landscape analysis, competitive scenario and emerging technology and application trends. Global research and development Network, Innovation and Spin offs have been discussed. The report tracks regional adoption and development trends, providing strategic recommendation to stay active and compete in the market space. An impact analysis of major drivers and restraints influencing the growth of the market is mapped for five year period. Cell research is a major driving factor for transfection market, as more than 60% of the users are of academic institutions and researchers. Research in gene transfer is being performed in in vivo conditions for different therapeutic applications; there is a growing demand for new transfection technologies to address unmet needs for therapeutic delivery which is driving the transfection market. Home brew reagents are still the preferred choice of reagents for transfection by researchers all over the world. Most of the researchers prepare their own reagents from their laboratory to conduct their research. This is true for most of the reagent based transfection reactions. This allows them to reduce cost involved in purchasing commercial kits. Transfection is an enabler technology which is used in many cell research activities, however only few cell lines are majorly used in these experiments restricting the scope of the study. Transfection in hard to transfect cells is the need of hour and it is a major challenge. There are few upcoming transfection technologies like nucleofection and magnetofection – which are an off-shoot of electroporation, which have the potential to address these challenges but are currently cost prohibitive due to which the technologies may have a much slower uptake in the developing world. The report also discusses new opportunities for investment in the upcoming areas like Gene therapy, Stem cell research and Electro-chemotherapy. Different transfection technologies are analyzed through a multi-criteria based decision making process which provides competitive benchmarking. Further, the report analyses technology management strategies and technology road mapping for the forecast period. Profiles of over 20 Key companies in the area of Transfection technology sector have been provided. Key players include Life Technologies, Sigma Aldrich, Lonza, Promega, Qiagen, Bio-Rad, Roche, Polyplus Transfection, Mirius Bio, Maxcyte, etc. 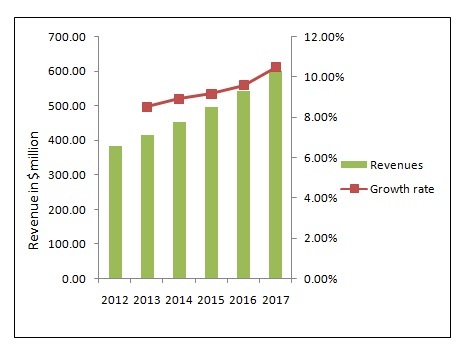 A comprehensive analysis of the market size and global revenue has been forecasted based on four segmentation: technology, products, applications and by geography. On the Basis of Applications: Transfection market is segmented into three categories 1. Therapeutic delivery, 2. Bio-Medical research, 3. Protein production. A brief description of the applications and their revenue is discussed in detail in the report. On the Basis of Product Type: They have been segmented into two types namely, Reagent and Instrument based. On the Basis of Geography: North America, Europe, Asia-Pacific, and ROW. On the Basis of Technology: They have been classified into three categories 1. Physical based transfection, 2. Biochemical based Transfection 3. Viral based transfection. Revenue and forecasts for the growth of these technologies has been discussed in detail. Transfection (the process of deliberately introducing genes into cells) technologies have been used in life science research and has been exploited for therapeutic delivery like for eg, gene therapy and electro-chemotherapy. The major types of Transfection include physical based (such as electroporation, nucleofection, magnetofection and gene gun), biochemical based(lipofection, calcium phosphate and dextran mediated) and viral based(adeno viruses and adeno-associated viruses based) transfection. Therapeutic delivery especially for gene therapy has received renewed interests among the industry and hence the demand for more scalable viral vectors is expected to increase, considering new markets in China and Europe. Transfection based methods like electroporation have to be exploited for their potential in order to enhance therapies for cancer in the form of electrochemotherapy. Over the years, viral mediated and chemical mediated transfection techniques have been widely used for applications such as gene therapy and production of recombinant cell lines. However, due to emerging advantages of physical methods such as electroporation, the global transfection market is expected to witness a much higher growth due to the technique’s capability to be applied across hard-to-transfect cells which have not been achieved with conventional methods. The Global Transfection market has been valued at US$ 385 million in 2012 and is expected to reach US$ 601 million by 2017 growing at a CAGR of 9.32%. Physical based transfection like Electroporation, Nucleofection etc. are the fastest growing market at a CAGR of 16.32%.This is attributed to the accelerated research activities in the area of stem cells and other areas pertaining to cellular therapies and funded research being conducted in Electroporation based projects especially in Europe. Asia and Asia pacific regions are the fastest growing markets at a CAGR of 11.5% owing to budding biotechnological companies and research institutes. Although transfection markets in these regions are negatively affected owing to a moderate use of home-brew reagents, demand for commercial reagents is expected to increase considering interests in stem cell research and other hard to transfect cell research. With regards to North America, demands for physical based methods are expected to increase owing to already established research and development trends in cell research. USA in particular is poised for significant growth in this area due to presence of top innovator firms. Key-players in this market include Life Technologies, Sigma Aldrich, Lonza, Promega, Qiagen, Bio-Rad, Roche, Polyplus Transfection, Mirius Bio, Maxcyte, etc. Analysis of Transfection technologies presents a holistic perspective of its current and emerging methodologies and markets. Research in life science i.e. research in cell research and cellular therapies in particular, has been fueling the growth of transfection markets for over three decades. Frontier technologies like Nucleofection, Magnetofection and the like is expected to revolutionize transfection in hard-to-transfect cells.